Henry Roome Wood and his 2nd wife Johanna Powers. 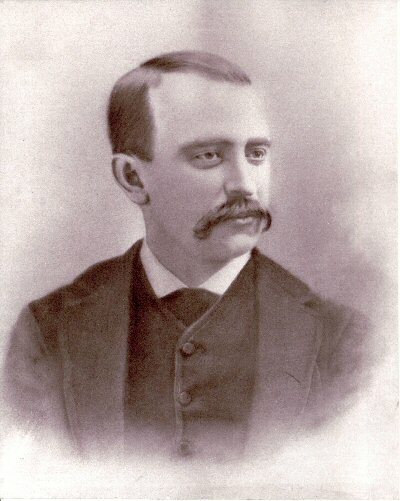 Henry Roome Wood, age 35 in 1889. Picture supplied by Marian Peter Lee. The oldest children of Henry and Johanna as young children. 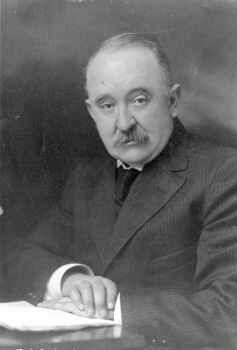 Henry Joseph b. 3/28/1930 m'd Nancy ? 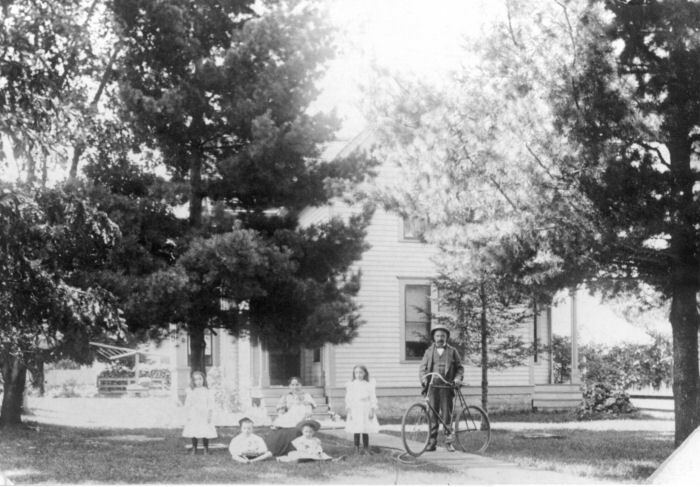 Henry and Johanna Wood and children. Scanned and sent to me by Robin Wade and his mother Eileen. I have heard that the Wood's dressed formally for dinner in the late afternoon, and that when dinner was done music was played while the dishes were done. 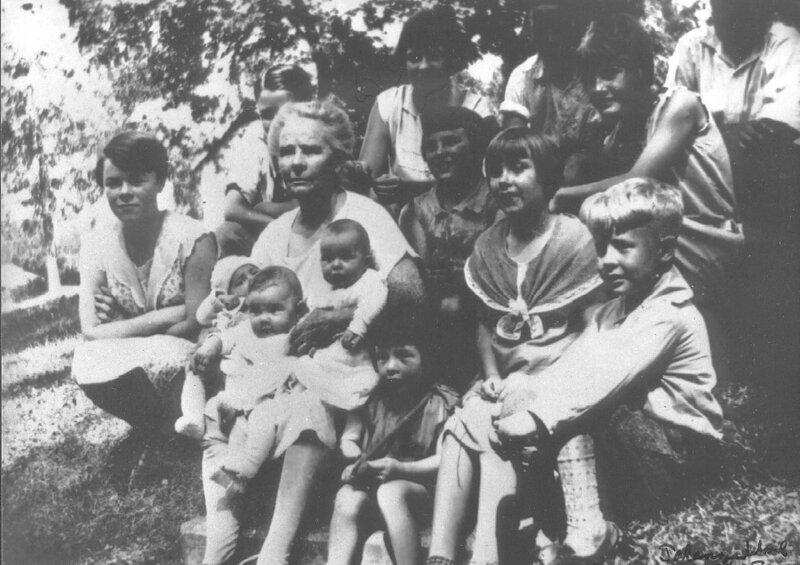 Henry Wood, his wife Johanna, and his children. This is most likely taken in LaCrosse Wisconsin. I wonder who the baby is, Ruth - who dies at nine months, or Bessie? It looks like summer to me in the photo - look at the vines filled out on the back fence. 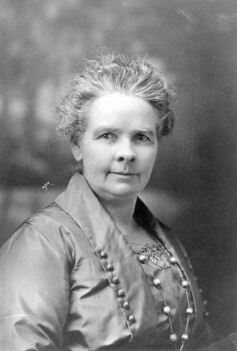 Ruth dies 6/20/1896 and is alive for only one summer. 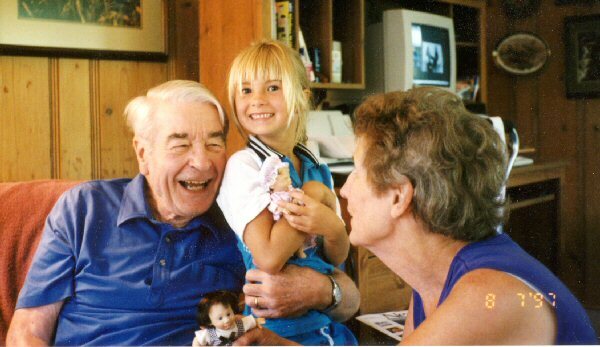 In the summer of '96 May is 7 1/2, Nellie is 6, Roy is 4, and Winnie is 2 1/2. Bessie is not born until 6/9/1897. The children would be 8 1/2, 7, 5, and 3 1/2. It's hard to gauge the children's ages to one year like this. Maybe after losing a child the summer before the family made sure that they had a family portrait? 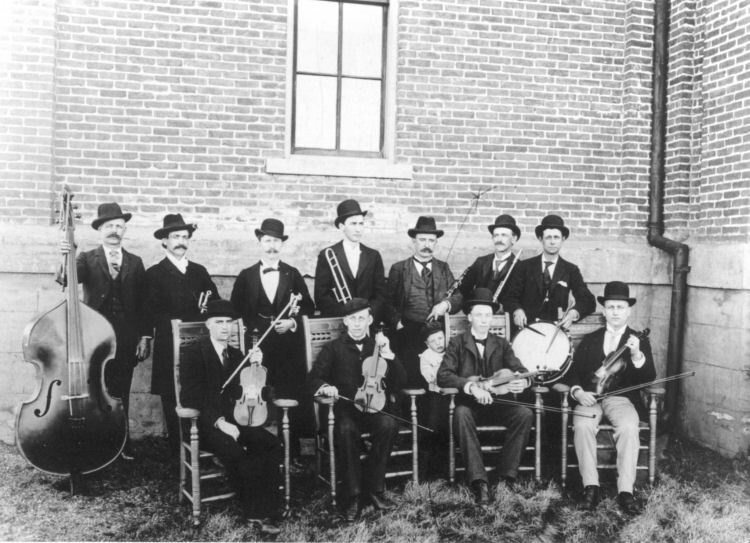 Henry Wood and the Lanesboro orchestra. 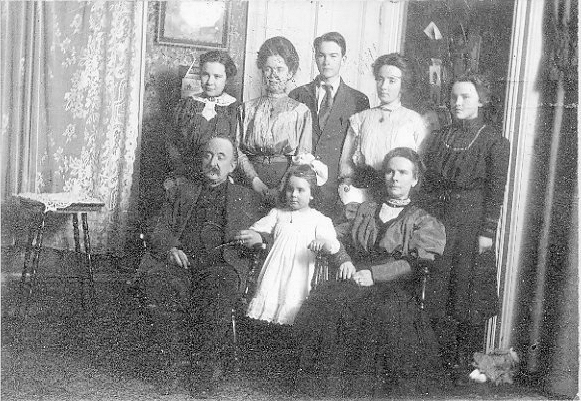 Henry is the third from the right in the back row. His son, Roy Wood, is the small boy in the picture. Henry Wood, pictured here with a clarinet, also played the violin. The violin ended up with one of the Langlie brothers, who played it in the Orange county California orchestra. Henry would also take a group of musicians and travel on the train to play at theatres during silent movies. Left: My grandfather, Eugene Roy Wood, who went by Roy Wood. 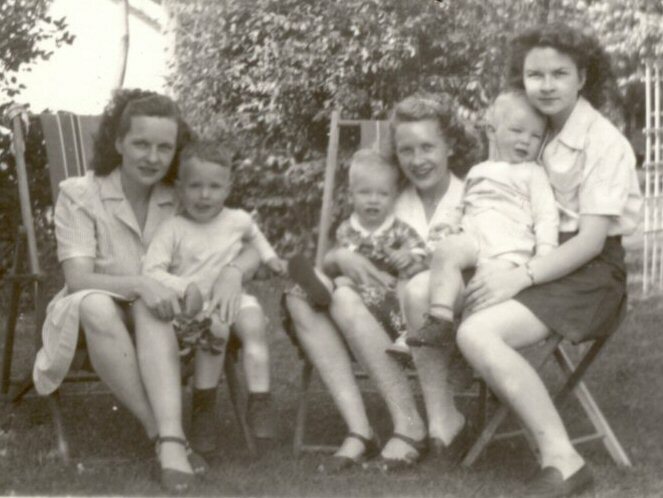 Right: Roy Wood's children, taken during World War II. 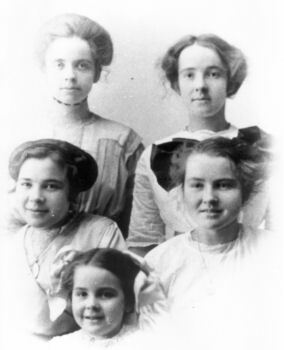 A new generation of "Wood girls" - the children of Roy and Margarette Jacobson Wood. 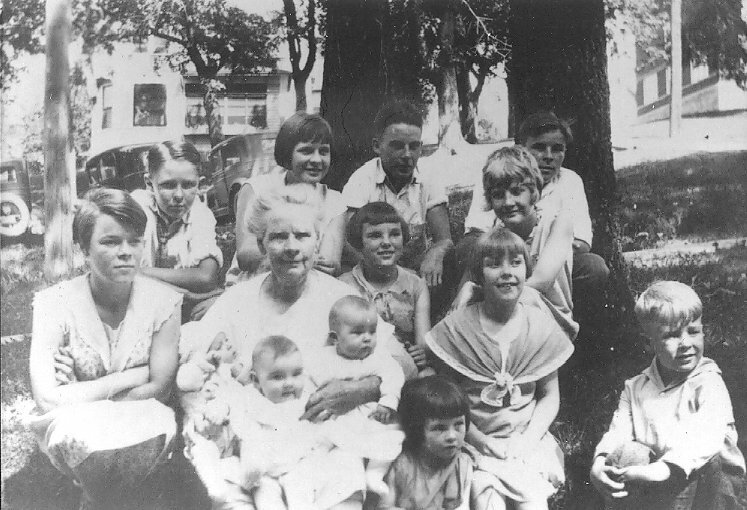 (Left to Right) Ruth Wood Adkins, son Mike, Carol Wood Schnaak, son Dee, Marjorie Wood Forsberg, nephew Teddy Adkins. 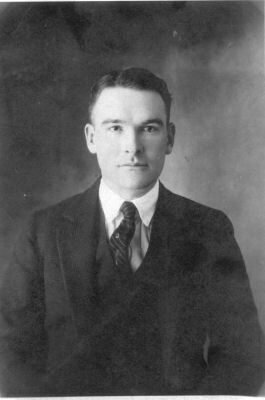 The picture was taken at Robert McCoy's house in Austin, MN. Robert was the girl's cousin on the Jacobson side. 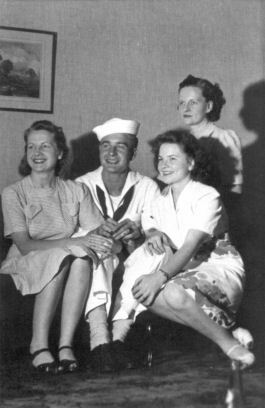 Photo probably taken late WWII or just after it ended. My mother and father, Roy E. and Elizabeth A. Wood, and my daughter Megan at grandma and grandma's house in Austin, MN. 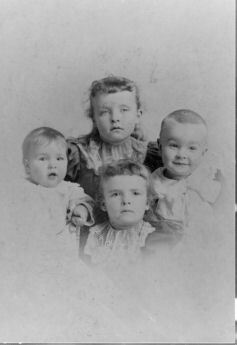 My dad's sisters are in the photo just above this one.